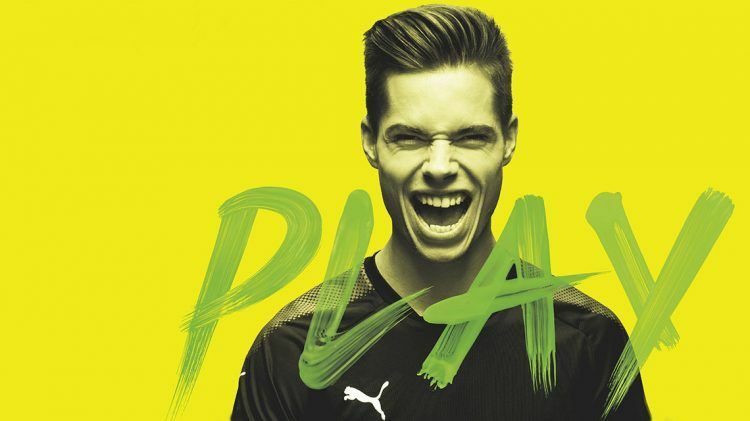 PUMA is proud to present the latest addition to its all-star team: Borussia Dortmund midfield star Julian Weigl. The 21 year-old Bavarian is one of the most promising talents German football has seen in the past years and “his carefree and cool playing style as well as his pleasant off-field demeanour make him the perfect brand ambassador for us”, says Matthias Bäumer, General Manager PUMA DACH. Together with his teammates Marco Reus, Roman Weidenfeller and Marc Bartra, Julian will strengthen PUMA’s Teamsport division and will act as brand ambassador for the new PUMA evoPOWER Vigor football boot. Julian is no stranger to PUMA and this new partnership came quite natural to the youngster as he states: “I have got to know PUMA very well through their work with Borussia Dortmund. I really like their products as well as their marketing campaigns, and I look forward to the exciting campaigns that are in store for me in the next few months.” Both PUMA and the rising star are eager to continue this success story together. It is a great honour to be part of the extensive PUMA family, which also includes legends like Lothar Matthäus, Pelé and Maradona. Julian Weigl spent most of his youth playing for TSV 1860 München and his performances have never gone unnoticed ever since. To this day, Weigl remains the youngest captain in the history of 1860 Munich, as he was appointed with the honour of the captain’s armband at the age of 18. Borussia Dortmund, always in search of young and ambitious talents, recognised his potential and signed him in July 2015. Weigl was also part of the German National Team at the EURO 2016 in France. Julian was part of the German National Team at the EURO 2016 in France.